The best professional email finder, period. Find emails and connect with people quicker and easier than ever before. Find corporate or business emails for any professional with our advanced search features. 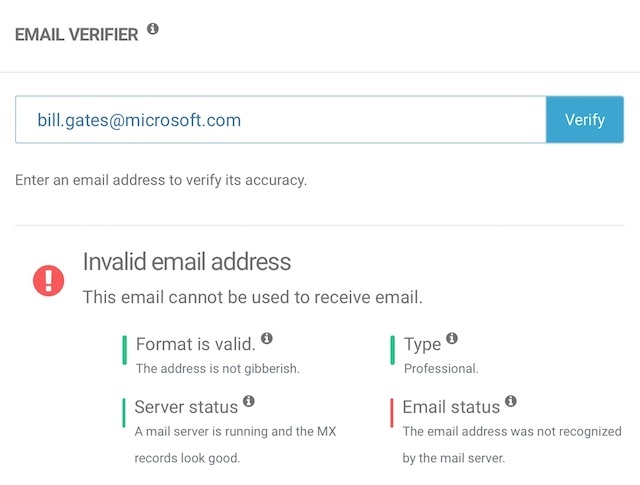 Reduce email bounce rates by validating the deliverability of any professional email addresses. Save time by finding professional emails in bulk with our advanced search, or with our public API. With our email search you can find leads in seconds. You no longer need half a dozen tools to find quality leads. Our professional email finder will get you the leads you need when you need them. An individuals name and company domain are all you need to start finding emails. 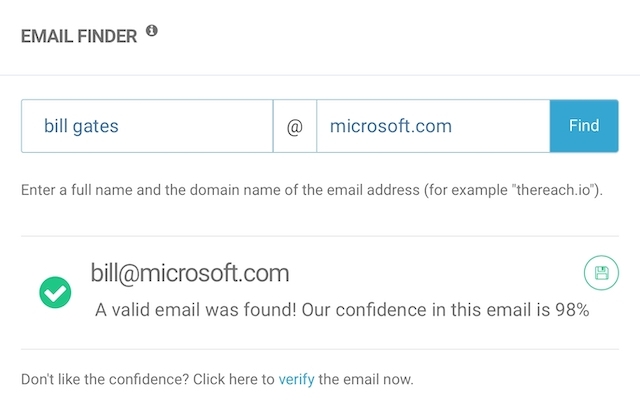 Use our email verifier to validate email leads ahead of time to reduce bounced emails. Build and verify high quality lead lists with The Reach. Our list builder allows you to enrich your lists from any source and verify the sendability of emails before you send them. 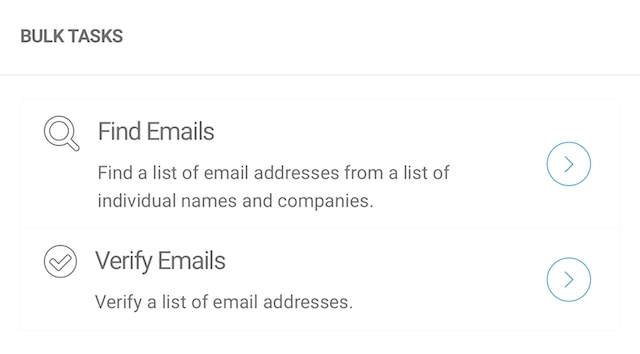 The Reach enables you to find and verify emails in bulk. Stop finding and verifying leads one at a time. Using our bulk email finder and verifier you can process leads in bulk. If that's not enough, we also provide an API to enable you and your team to build your own workflows. Try the service for free!